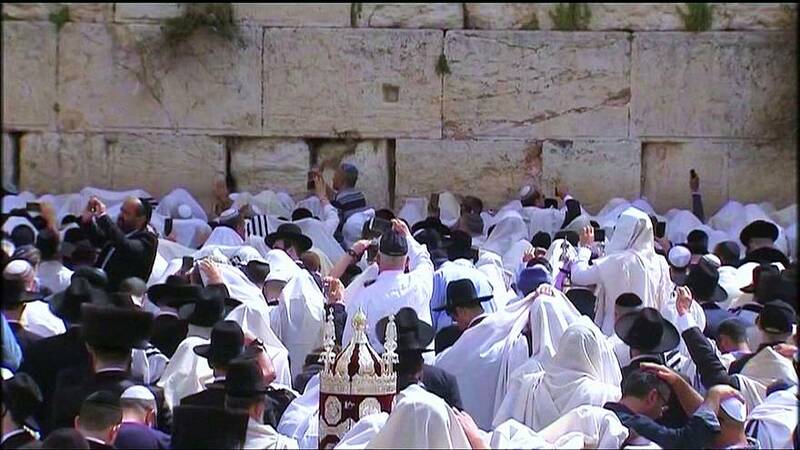 Hundreds of Jews gathered at the Western Wall in Jerusalem on Thursday (April 13) to attend a special ‘Priestly Blessing’ prayer on the holiday of Passover. The prayer is held twice a year, during the Jewish holidays of Passover and Sukkot. Kohanim, or priests, lead the prayers chanting three consecutive verses of the Torah (Jewish scripture), one word at a time, in a special recitation dating back to the First Temple period. Considered Judaism’s holiest site, the Western Wall is a remnant of the compound of the Second Jewish Temple built by King Herod the Great, which was destroyed in 70 AD. It is located just below the al-Aqsa mosque compound, Islam’s third most holy site.